Research by Carol Dweck, Ph.D. a professor at Stanford University, has now proven what Adler taught years ago. Praise is not good for children. 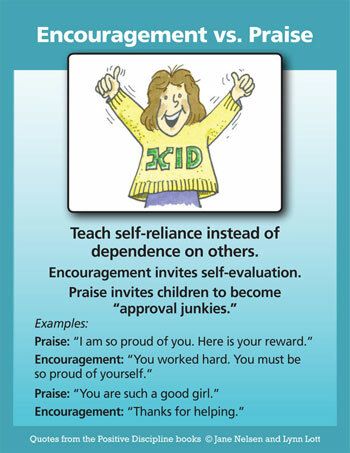 Dweck found that praise can hamper risk taking. Children who were praised for being smart when they accomplished a task chose easier tasks in the future. They didn’t want to risk making mistakes. On the other hand, children who were “encouraged” for their efforts were willing to choose more challenging tasks when given a choice. Muy interesante este tema, para reflexionar sobre como estimular a nuestros hijos.